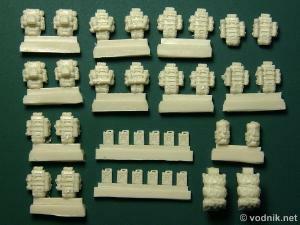 The set looks like a miniature of other Goffy Model product: set #3507, which I reviewed earlier. Just as the 1/35 scale "bigger brother" this new set in 1/72 scale also contains crew gear and stowage for USMC Amtrac. In the small cardboard box we get a zip-bag with resin parts. 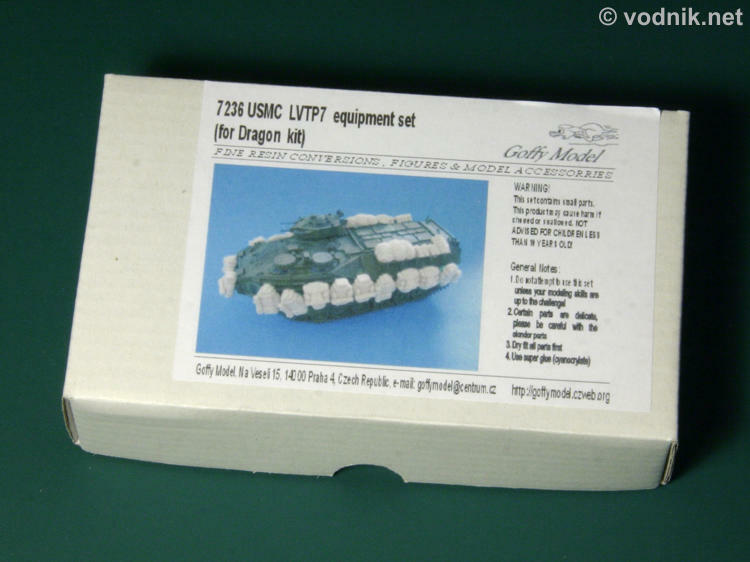 Picture on a box lid label shows unpainted resin parts attached to Dragon's model of AAVP7A1. No painting instructions are provided. The composition of the set is identical to this of set #3507, only parts are smaller. This means that here we also get two duffel bags, two large canvas packs (camouflage net? ), 12 plastic-type water cans and 20 MOLLE packs in five different configurations of sleeping mats, canteens and pouches molded on. There is some very minimal flash on parts and in my set all are air bubble-free. 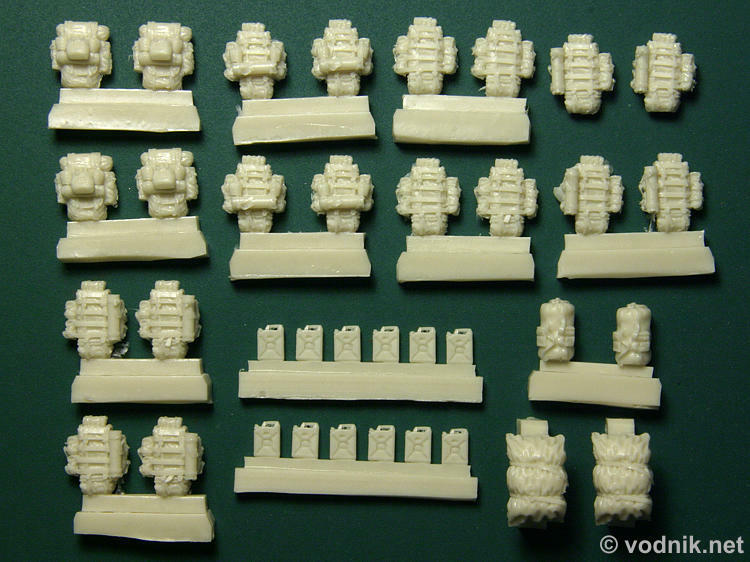 Details are very well sculpted and crisply cast. Resin casting blocks should pose no problems during removal - sharp No.11 blade or fine razor saw should do the job easily. MOLLE packs seem to be very accurate and are nicely cast with crisp details molded on front and back side. 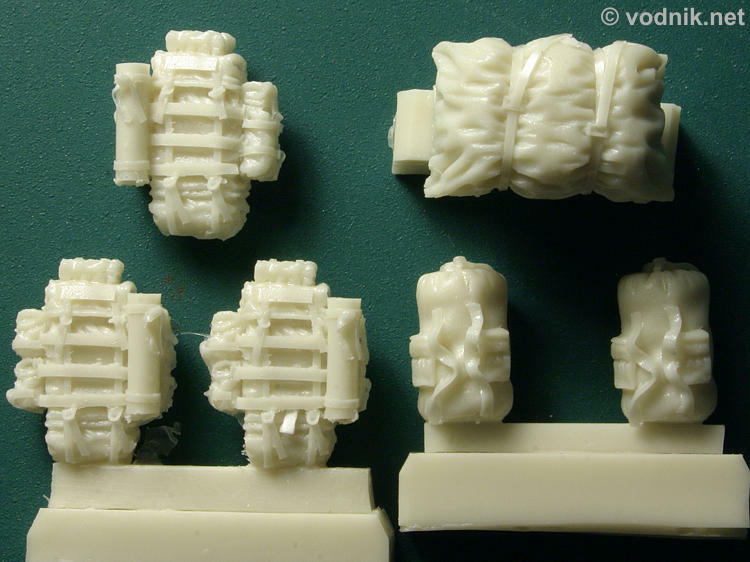 Equipment set for Amtrac model is another well cast and sculpted product form the Czech manufacturer and it can easily be used with other modern US Army and Marines vehicle models. Highly recommended!